The Kingsman world may have just courted its newest stars. According to a new report from That Hashtag Show, Brad Pitt and Rachel Weisz are currently circling Kingsman: The Great Game, a prequel to the current series of films. While no deals have been reached, Weisz is eyeing the role of Polly, the nanny of Conrad (Harris Dickinson), while Pitt is on the top of the list to play Grigori Rasputin. Polly is described as "a ruthless force of nature", who is instrumental in raising Conrad and isn't afraid to go toe-to-toe with is father, the Duke of Oxford (Ralph Fiennes). Rasputin, of course, was a controversial figure in Russia, having gained considerable influence over Tsar Nicholas II after “healing” his hemophiliac son Alexi. The film will reportedly focus on Rasputin’s “unscrupulous and Machiavellian” ways. Apparently, negotiations have not been made to bring Pitt onto the role, but he is on the top of Fox's list. The Kingsman prequel is currently rumored to be titled Kingsman: The Great Game and will take place in the 1910's during the first World War. It appears that Kingsman 3 will be the foundation for the spinoff prequel, and will bring in two lead characters that will also be used in The Great Game. That movie will film back to back with The Great Game, but that isn't the only piece of the Kingsman puzzle in development. While the main trilogy will be coming to an end, Matthew Vaughn is also working on a spin-off film starring the Statesman, the United States branch of the Kingsman introduced in Kingsman: The Golden Circle. That is expected to bring back Channing Tatum, Jeff Bridges, and Halle Berry to reprise their roles. There's also a Kingsman television series in the works, which would be an eight-episode series, though no other details are known regarding what it would focus on or what characters and actors would be involved. Kingsman 3 is expected sometime in 2019, while there is no release date for Kingsman: The Great Game. 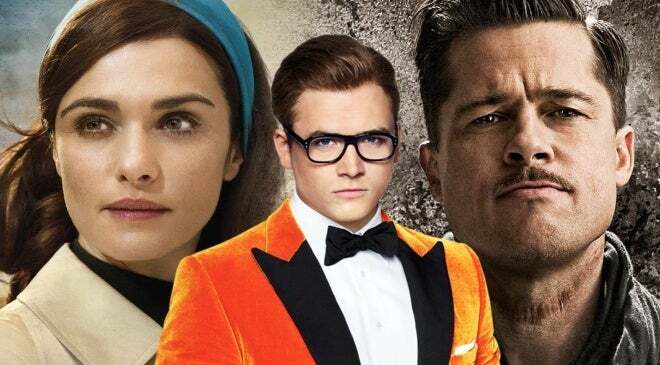 What do you think of Weisz and Pitt possibly joining the Kingsman prequel? Let us know in the comments!